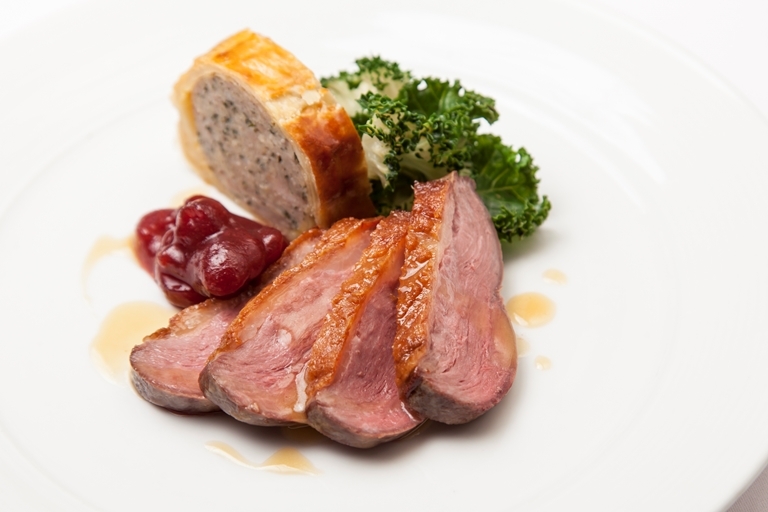 The underrated goose makes a luxurious centrepiece to a Christmas Day roast, and Marcus Wareing skilfully prepares the bird and serves with some suitably classy accompaniments. The goose sausage roll is a particular highlight - guaranteed to provide a talking point at the table. A good butcher should be happy to provide the specific elements, such as minced leg meat.